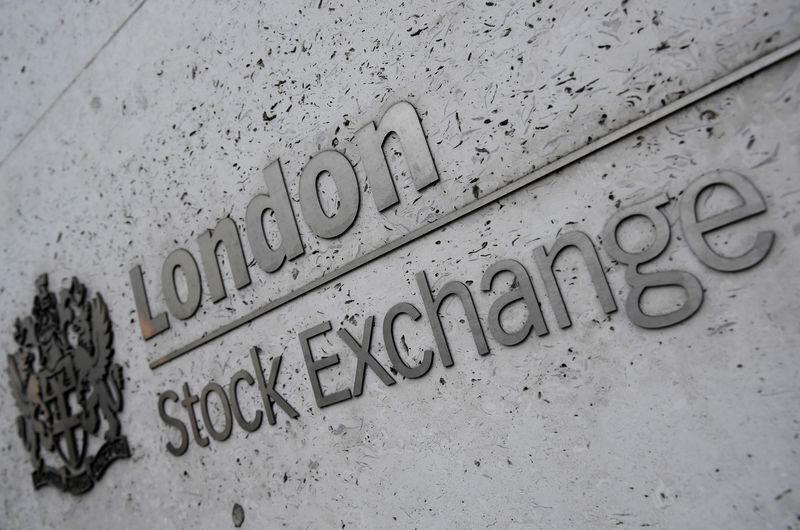 (Reuters) - Britain's FTSE 100 jumped to its highest level in five-and-a-half months as its multinational stocks got a boost from weaker sterling, while results-driven slumps in engineering firm Renishaw and trading platform IG dented the midcap index. The FTSE 100 bounced 0.9 percent, comfortably outperforming its European peers, as the pound dipped amid growing concern that a no-deal Brexit would become a reality. Many large UK-listed firms earn the bulk of their income abroad in foreign currencies and their shares benefit from a falling pound. The midcap FTSE 250, more domestically focussed, was 0.2 percent lower. The Brexit news also dragged down shares in Lloyds and Royal Bank of Scotland by 3 percent as banks are among the most vulnerable to a potential hit to the economy if the UK falls out of the European Union without a deal. With just eight days to the exit date, French President Emmanuel Macron warned Prime Minister Theresa May that Britain would face a disorderly departure if she fails to get lawmakers to approve her deal on a third attempt next week. Exporter stocks including GlaxoSmithKline , AstraZeneca and Reckit Benckiser all gained on the pound's fall. The Fed on Wednesday abandoned projections for any interest rate hikes this year amid signs of an economic slowdown, and said it would end its balance sheet reduction in September, which softened the dollar. In a similar vein, the Bank of England kept interest rates steady on Thursday and said most businesses felt as ready as they could be for a no-deal Brexit that would likely hammer economic growth and jobs. Precious metals miner Fresnillo rose 4 percent to be among top blue-chip gainers as safe-haven assets like gold were in demand. Clothing chain Next shed early losses to be up 2.6 percent after reporting a profit in line with expectations, which Investec analysts said were helped by a strong performance in the Label business. Mid-cap housebuilder Crest Nicholson slumped 9 percent on its worst day since May as the stocks traded ex-dividend. Results drove some steep moves as precision engineering group Renishaw tanked 11.2 percent, its biggest drop in more than a year, after cutting its annual profit target. Online financial trading firm IG Group shed 6 percent to a near two-year low following a drop in quarterly net trading revenue as stricter regulations hurt its UK and European units. Fashion retailer Ted Baker gave up 4.7 percent after its first drop in annual pretax profit since the financial crisis.